The champagne of Ginger Ales was Created by Canadian pharmacist and chemist John J. McLaughlin in 1904. Labelled "Dry" to alert shoppers it was not nearly as sweet as other Ginger Ales in the market, it quickly caught on and soared in popularity. 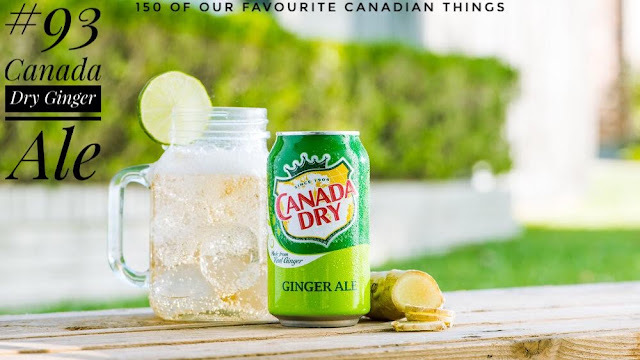 It didn't take long for the soft drink to grow its popularity to the United States and today Canday Dry is available worldwide. Its logo, a map of Canada enclosed in a shield, with a crown above it, has soldiered on for over 100 years across the globe as a product we Canadians can be proud of.